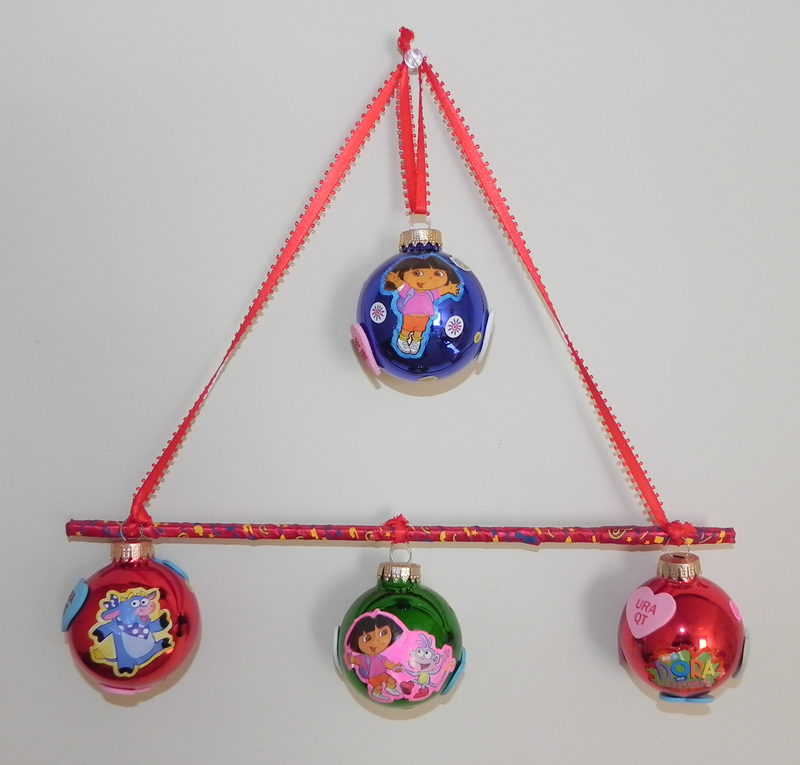 This is an easy and quick DIY project that can be done with left over Christmas Ornaments and some stickers. Christmas means a lot for everybody, specially kids, so why not to continue the fun even after Christmas? 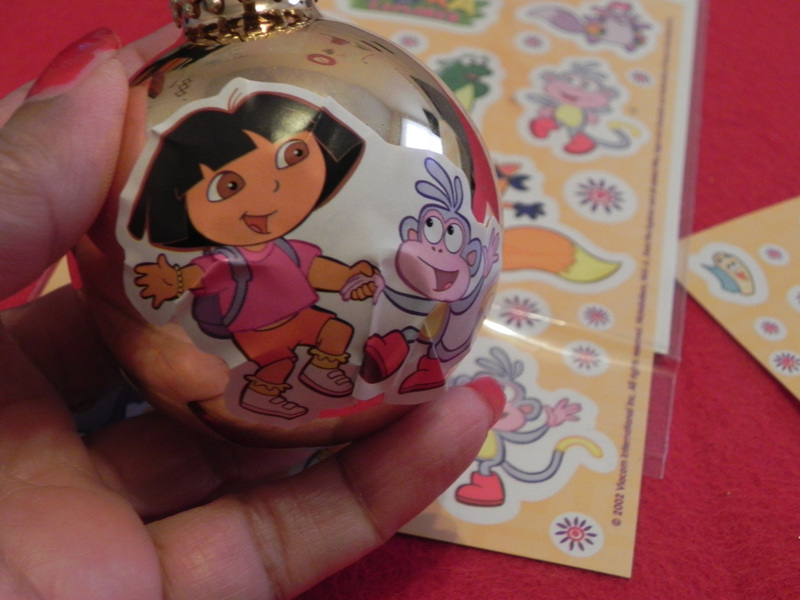 Yes you can do that with this DIY and you can make it even more interesting with your kids favorite Disney character stickers. 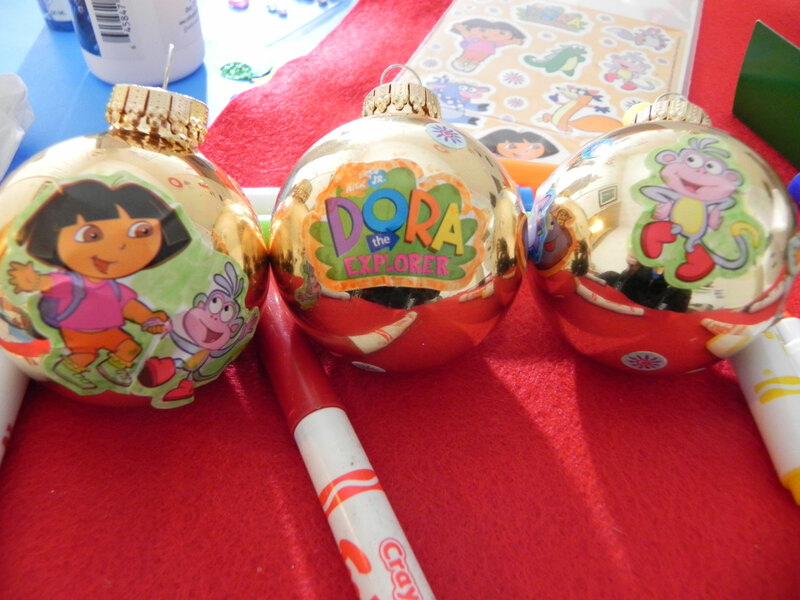 Put sticker on ball ornaments and color the sticker border with matching marker. 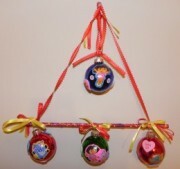 Hang the ornaments from the stick as shown below and your home decor made with leftover Christmas ornaments and stickets is ready. If you have all stuff together you can do it with 10 min. Use it as a gift or hang it in your kids room. 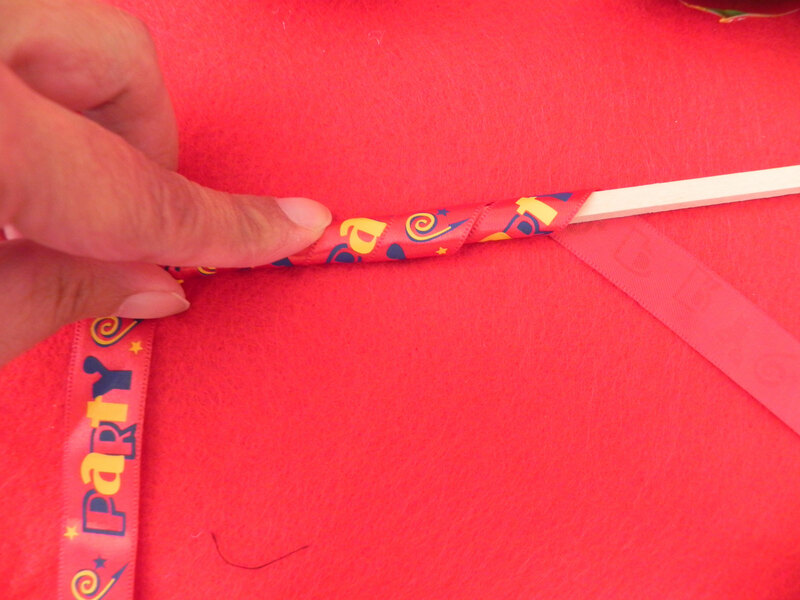 I hope you enjoyed this DIY, I certainly enjoyed making it. hey lady! this looks great! it would be a good project for stay at home moms to keep kids busy or for those who babysit or have in home daycare kids and craft time! Cute idea! I think something like this would look great around Valentine’s Day. You can have red and pink ornaments with heart and cupid stickers! AWESOME stuff Tahira!!! Thank you for sharing! Fantastic work! I can’t believe how good it is!!! Well done. Its very creative & fine work which you did here. it is very creative work I like it. it is very creative and excellent work you have done. 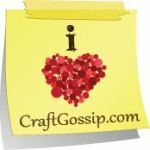 All who are interested in craftwork will appreciate your work. These are interesting DIYs.